One really useful feature of your teamthing.com website is that you can create a customized list of all your member details. Once this list has been compiled it can be exported and used to print mailing labels. In this article we describe how you can quickly add member lists and export your list to a csv file, all from within your teamthing.com dashboard. Every teamthing.com website comes loaded with a plugin called the ‘Projects’ plugin. 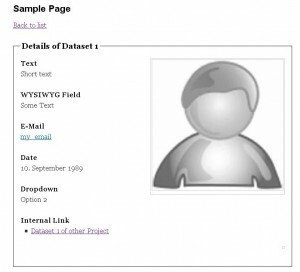 This plugin is used to create lists/databases of details about anything related to your site e.g. members, objects, players etc. Every site will already have a single ‘Members’ project created for you to start adding member details to your site. You can change this project, delete it, or add a completely new project/database using the ‘Projects’ menu. For the sake of this article, we will only show how to edit the existing ‘Members’ project that has already been created for you. The members database project has already been created for you and all options are available from the members menu in your dashboard. Settings: Where you can define settings related to the project e.g. project name, default image settings etc. Categories: Add/Edit categories used within your site. Import/Export: Import your list from a csv file, or export your data to a csv file. Click the Members>Overview menu item from your dashboard. Click the ‘Add Dataset’ link from the top of the screen. 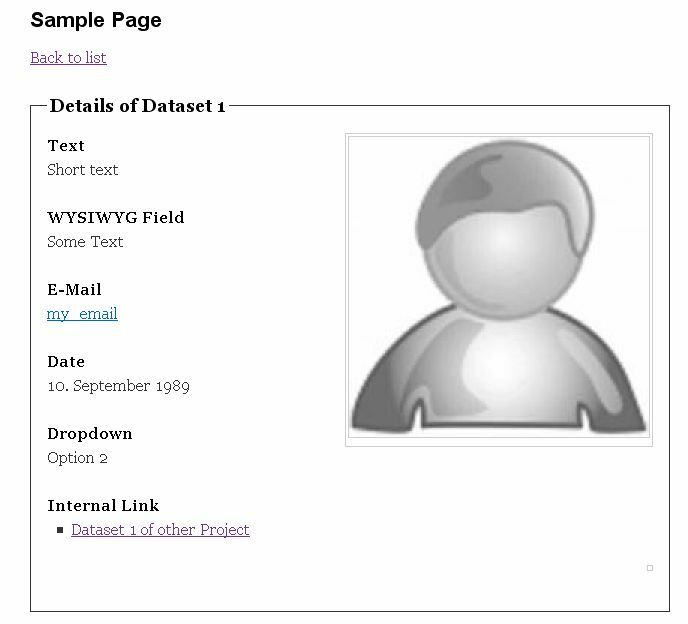 The ‘Add Dataset’ screen will appear. Fill in all details about the member. N.B. The fields on this screen are configurable through the ‘Form Fields’ menu option on the ‘Overview’ screen. N.B. 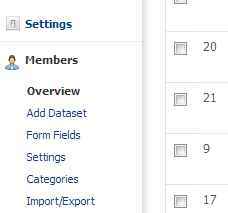 This member can be linked to one of your site admins by clicking the ‘Add WP User’ icon beside the name field. This linkage is useful if your user is both an admin of the site and a member. Click the ‘Add Dataset’ button to finish. Navigate to the Members>Import/Export page. Click the ‘Export Datasets’ button. Choose a location to save the export file. Once you have saved you csv file you can open it up in a spreadsheet package e.g. Microsoft Excel, and print the contents in whatever format you require.